And the Hawk-news keeps on coming! 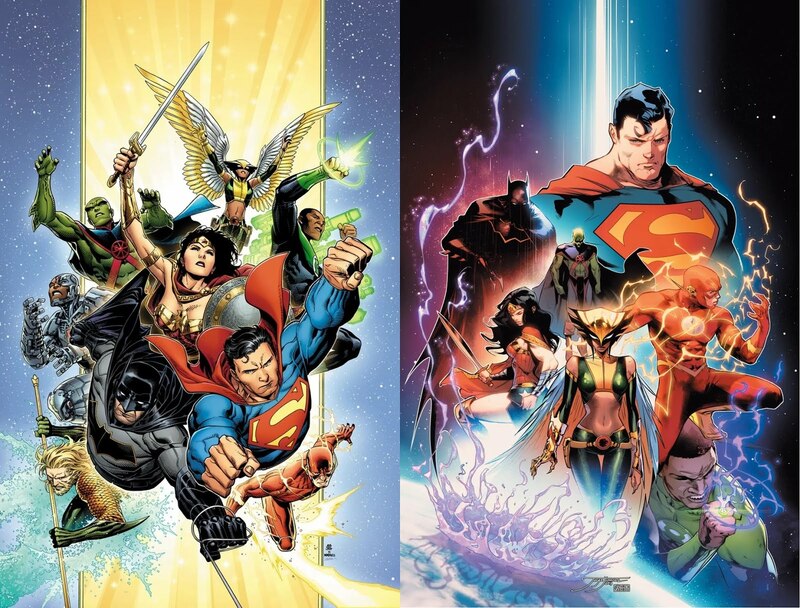 After the announcement last week about the new Hawkman ongoing by Rob Venditti and Bryan Hitch, now rumors are coming down that Hawkgirl -- in the form of Kendra Saunders -- will be appearing in the new Justice League, with the creative team of Scott Snyder and Jim Cheung. Much as Dark Nights: Metal introduced Carter Hall into the post-Flashpoint, Rebirth-era DC Universe, the series also gave us our first glimpse of the Earth-1 version of Kendra Saunders for the same continuity. Of course, we've had plenty of Kendra Saunders in the post-Flashpoint run -- over on Earth-2. Being introduced to readers as Lady Blackhawk, this Kendra is one of the drivers of the story (which is written by Snyder), and is later confirmed to be having previously been Hawkgirl. Her connection to Carter is played upon in Hawkman Found, as well. The big takeaway from the image for me is that even though we saw Kendra in a severe, almost villainous black and silver costume in DN:M, the sketch shows her in a more traditional uniform. Obviously we cannot see any colors here, but the helmet, halter top, and gauntlets do echo her old costume. Furthermore, the twin holsters on her hips remind me a lot of the Earth-2 Kendra, as do the bare shoulders combined with forearm sleeves. I would imagine that this will be rendered in green and orange, but I could just as easily see this in blue and black ala Earth-2, especially considering the color palettes of some of the other characters featured. There's other stuff to get excited about in this image, as well. John Stewart as the team's Green Lantern is making a lot of waves online, which is just fine with me given that we have had seemingly every other GL but Stewart in the League since Flashpoint. The appearance of both Cyborg and Martian Manhunter in the image brings a grin to my face, when one considers that Cyborg "replaced" Manhunter in the New 52 version of the Magnificent Seven. And just the idea of Snyder, who has made some serious hay with his Batman stuff, handling the Justice League ongoing is exciting in and of itself. For now, it seems like the Hawks are coming back in a big way this summer at DC Comics! So what do you think? Will we see Hawkgirl in the League? And will you be picking it up? Image: "Justice League .1" image, Jim Cheug, 2018, retrieved from Penguin-Random House. Hawkman Getting New Ongoing Series Out of Dark Nights: Metal! 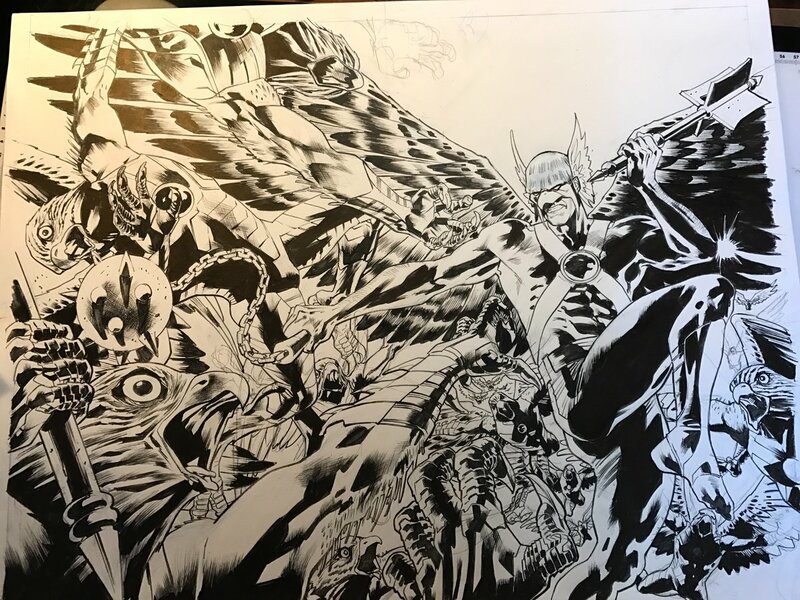 After months of speculation, it has been announced that the Winged Wonder Hawkman will be getting a new ongoing series this June from the creative team of Robert Venditti and Bryan Hitch! This is truly fantastic news! 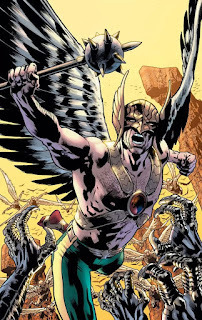 With all of the attention being paid to Carter Hall in the Dark Nights: Metal storyline, and given the other series spinning out of it, it made sense for Hawkman to get a new shot at ongoing stardom. Jeff LeMire has been teasing this for some time, and the rumor of Robert Venditti as the writer has been out there for a while as well. But getting these confirmed has me extremely excited. I am a big fan of Venditti's work over at Valiant, which has been my favorite publisher since their revival in 2012. His signature title for Valiant was X-O Manowar, where he had a run of 50 regular issues plus some specials, but he has also handled titles such as Wrath of the Eternal Warrior (possibly my favorite ongoing series from this decade) and the miniseries Armor Hunters, plus plenty of modern Flash and Green Lantern at DC. Venditti's experience writing Aric and Gilad (X-O and the Eternal Warrior for those not versed in Valiant) has me really champing at the bit to see his take on Carter Hall. Aric is a man out of time, a Visigoth warrior who has possession of the most powerful alien artifact in the known universe, who finds his warrior's mentality no longer fits in with the modern context, having to learn how to be a "hero" in the 21st century. Gilad has lived countless lifetimes, and remembers all of them, having felt plenty of loss over the millennia -- but still he returns to serve the Geomancer, speaker for the Earth, out of his sense of duty and honor as a warrior. It is easy to see how these sorts of characters can relate to Carter Hall, and the possibilities have me legitimately excited. 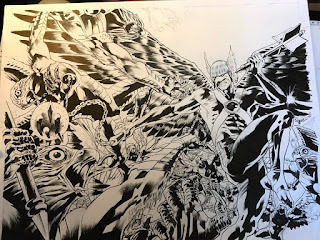 Bryan Hitch is one of those artists whose work is very well known to most American comics fans at this point, and I think that he is a good fit for Hawkman visually. I honestly have not read any of his ongoing work, but his big superhero style seems like a nice pair with what I can assume will be an action-heavy series. And Hitch, of course, pencilled the Hawkman Found one-shot, which looked fantastic. "Hawkman is a foundational character in the DCU," Venditti continued. "Over time I think he's lost some of that central importance to the DC universe, and we really want to bring that back and make him a marquee character. And to do that we're going to take him to a lot of unexpected, unexplored places and introduce a lot of new mythology for the character." "The Winged Man is such a significant and powerful image in myth and legend. That's exactly the element Hawkman fits best. It's such a unique image to play with from the Bird of Prey to the Angel, the winged man is genuinely awesome in the truest sense," added Hitch. "Carter [Hawkman] is the DCU's greatest warrior, but he's also part of its secret history. All of that gives you such a rich visual tapestry as an artist to play with." "She's as foundational to the concept really in a lot of ways that Hawkman is," Venditti said. "Now how we're going to do that is hopefully going to be set up in a way that will surprise some people. Even when she's not there on the page, she's still there in terms of what we're building and how we're working towards it." Truly a good time to be a Hawkfan! June can't get here fast enough! Onwards and upwards!